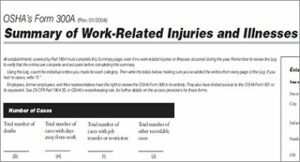 OSHA reminds employers of their obligation to post a copy of OSHA’s Form 300A, which summarizes job-related injuries and illnesses logged during 2017. Each year, between Feb. 1 and April 30, the summary must be displayed in a common area where notices to employees are usually posted. Businesses with 10 or fewer employees and those in certain low-hazard industries are exempt from OSHA recordkeeping and posting requirements. 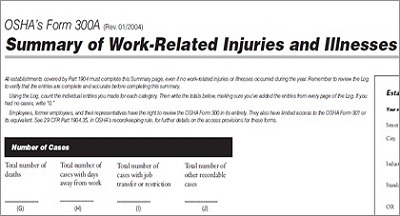 Visit OSHA’s Recordkeeping Rule webpage for more information on recordkeeping requirements. 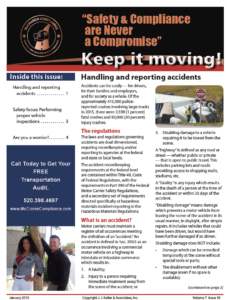 PHOENIX – It just became easier to do business with the Arizona Department of Transportation Motor Vehicle Division, and more enhancements are on the way. “Among the first major improvements we will unveil sometime in 2018 is allowing customers to transfer titles online, which will make it much easier for people to buy and sell vehicles without having to do paperwork at a physical location,” he added. Create an account: AZ MVD Now allows you to manage your interactions with MVD. All of the vehicles titled and/or registered in your name are associated with the account. Fund the account: When paying at an MVD office or online, you can still use a traditional form of payment such as debit, credit or EFT. Or you may pay with funds in your new financial account. Issue a prepaid voucher: This functions like a store credit and allows flexibility of who pays for transactions. View a title: A vehicle owner can see full title details on vehicles they own. Additionally, there is a limited view where a citizen can look up a vehicle to confirm the vehicle is eligible for transfer. 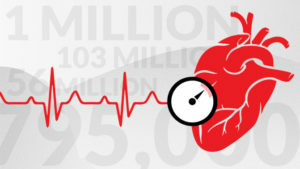 The Bureau of Labor Statistics recently released its National Census of Fatal Occupational Injuries in 2016, which reports 5,190 workplace fatalities in 2016 — a 7 percent increase from 2015. The fatal injury rate also increased from 3.4 per 100,000 full-time equivalent workers in 2015 to 3.6 in 2016. More workers lost their lives in transportation incidents than any other event in 2016, accounting for about two out of every five fatal injuries. Workplace violence injuries increased by 23 percent, making it the second most common cause of workplace fatality. The report also shows the number of overdoses on the job increased by 32 percent in 2016. For OSHA’s statement on the data, see the news release.